This coming Friday, November 9, at 7:00 PM ET/4:00 PM PT players will be able to purchase special NFL themed outfits via the game’s item shop with its virtual V-bucks currency. However, no price was announced for these outfits. 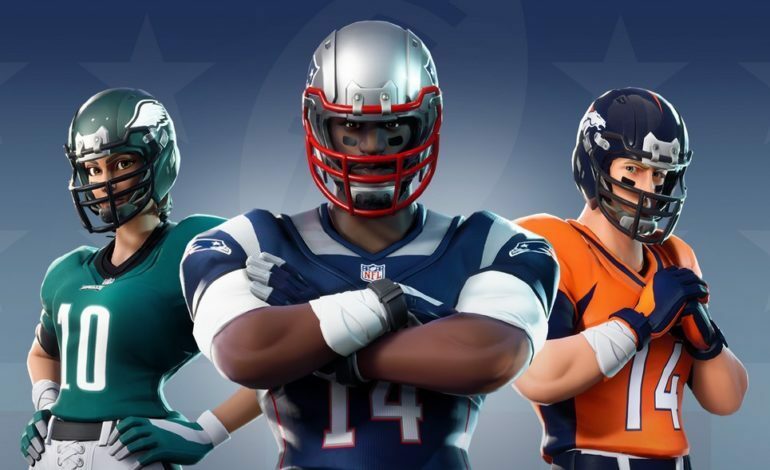 All of the NFL’s 32 teams will be represented in game along with a special “unique Fortnite team.” Players will also be able to swap between each team once the outfit is purchased and can customize it with a number between 1 and 99. Thus, players will be able to represent their favorite NFL players in game without having to purchase different outfits. This partnership with the NFL is the second major partnership Fortnite has had this year. Back in May, Fortnite teamed up with Marvel to bring Avengers: Infinity War villain Thanos to the game in his own limited time mode. The NFL partnership is Season 6 of the game’s next big event after the Halloween themed event Fortnitemares ended spectacularly yesterday with the explosion of the Cube which has appeared in the game since Season 5. This new partnership comes off the back of a few other successes Fortnite and developer Epic Games has achieved. It was recently announced that the game has been downloaded on almost half of all Nintendo Switch systems since its release in June. Fortnite also recently left invite only and became available to the general public on Android devices. Along with this, Epic Games has received over a billion dollars in new investments thanks to the game’s massive popularity and success.